I KILLED A LOT of meaningless staff email a few years ago by educating my filters to squelch bulk mail. I took that step because too much drivel in the form of "all-staff" communications interfered with more important one-to-one messaging from students. According to data shown in the HBR report, the time spent by managers and employees in collaborative activities during the past two decades has ballooned by 50% or more. A lot of these collaborative activities masquerade as meetings, conference calls and long email threads. "At many companies the proportion hovers around 80%, leaving employees little time for all the critical work they must compete on their own," says the HBR report. I know from experience that the distribution of collaborative work is often extremely lopsided. "In most cases, 20% to 35% of value-added collaborations come from only 3% to 5% of employees," says the HBR report. What I've seen on the heels of a recent consolidation initiative is the volume and diversity of work done by key players goes unnoticed because the requests for collaboration come from varied offices and external agencies. The added workloads can lead to burnout. To help minimise the threat of burnout in my case, I found it helpful to categorise potential time sinks by labeling collaborative resources in one of three ways: informational, social and personal. It is relatively simple to pass along the name and contact details of a collaborator. All I normally do is ensure there is no compromise of personal details. Those names and details comprise informational collaboration. It is often frictionless to introduce people inside existing social networks. Social resources involve one's awareness, access and position in a network. Because most social networks have established simple sharing mechanisms, the biggest hurdle is often getting people into the same networking space. However, when people ring-fence their work outside of company collaborative zones, it often reveals their recalcitrance and forces dependency on limited personal resources. Those personal collaborative resources include one's own time and energy. When I have to set aside time to answer a personal question, it means prioritising the request. Some of those requests arise because the requestor simply does not use the social networks or electronic collaborative functions already wired into the organisation. During the next three months, I will join a few people working at the Limerick Institute of Technology as they begin to use well-established tools of collaboration. I can already see how several years of my work, including volumes of practical exercises, could benefit lecturers who do not realise we are actually in the same thought space. The interesting thing for me is to see if they take the cue and explore the collaborative spaces opening up inside shared zones powered by Office365. Mountains of research I have accomplished while in the employment of the State will lay open for other lecturers to pick and choose what works best for them. Naysayers may find fault with my method, suggesting I am collaborating myself out of a full-time teaching position. But I don't see the world through the lens of suspicion, mainly because I started my professional career sharing stories, learning from experienced masters and returning the favour by sharing and sharing alike. 1. Rob Cross, Reb Rebele, and Adam Grant -- "Collaborative Overload" in HBR, January 2016. Snapped by @topgold with Xperia. I WANTED TO ESCAPE the echo chamber of social media so I started reading more away from the computer. I also needed to plan better slide decks for new academic modules so that motivation pushed me towards printed texts too. IN THE EVENT people miss out on finding a perfect Christmas present for me, I spotted two retro items worthy of high status on my wish list. 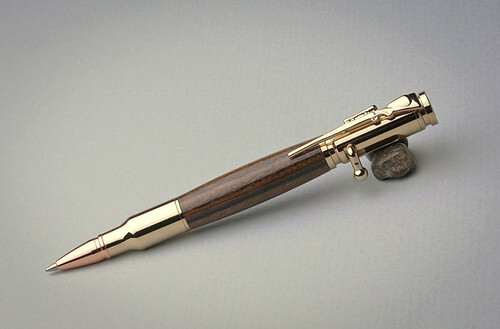 The first are bullet pens. Pens or pencils housed in spent rifle cartridges first arrived in my Lancaster County hometown after the Battle of Gettysburg. Collectors scoured battlefields in the late 1800s to find and polish thousands of samples. By the 1930s, American companies were passing them out as advertising. Several ended up in the desk drawers of the family business, normally advertising agribusinesses. Peripheral damage snapped by @topgold. 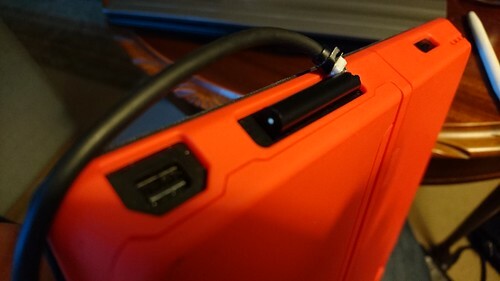 I'M TRYING to get another year's service from a well-used Surface Pro 2 on loan from Microsoft and the major challenge will be to get its charger working again. This isn't as easy as it sounds. WHEN I BROUGHT Amazon video streaming into our Irish home, the first thing my wife wanted was the service on a TV screen. I'm halfway there--we bought ourselves a media player from Western Digital that gets our YouTube content onto an inexpensive TV. 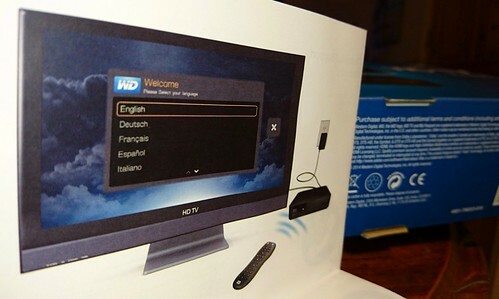 Photo of WD TV box by @topgold. Getting Amazon Prime onto the TV screen takes a little more work--probably with an Amazon Fire TV connection and a little tweak from Overplay.net. Our major problem is with the 12-year-old Sony Wega television. It doesn't have an HDMI port and I don't know how effective the frame rate will be if I get a SCART-to-HDMI adapter. SOMETIME IN NOVEMBER, our inventive 8yo borrowed her parents' phones to set up an electronic reminder that her Christmas Play was at 2PM on 17 December 2015. 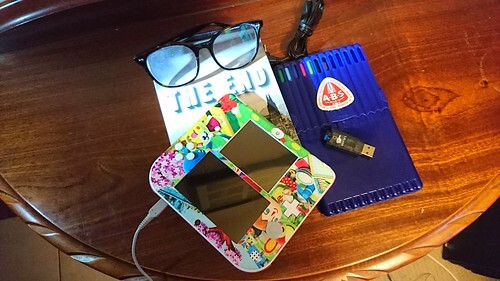 I was surprised at the time because when she started clicking through the menus, she simply worked through all the prompts and returned my Xperia Z5 to me with the notification running in the background. 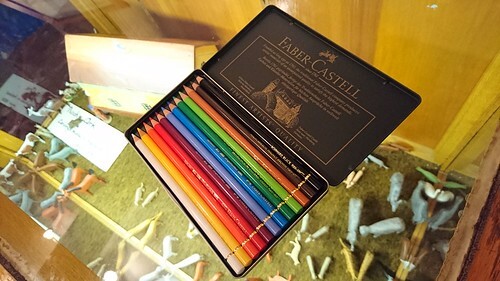 Xperia snap of Faber-Castell Polychromos Pencils. BEFORE SETTING OUT on a short Christmas shopping expedition, I had a short chat with Treasa Lynch about the perfect pencil. She persuaded me to try Faber-Castell's Polychromos Pencils. ONE OF MY biggest accomplishments of the 2015 winter semester happened while watching third level students use OneNote to review pertinent topics in Human Resource Management. 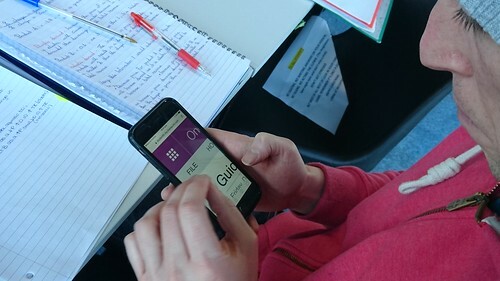 I taught 29 students in that subject and every time I opened OneNote Online, I would see three to eight of them poring over notes. WHILE SCANNING MARK ZUCKERBERG'S Facebook timeline, I stopped to read Emer Martin's lovely post and hope Zuck did the same. Emer's ideas resonate with me as I watch our two young children grow up in a world shaped by bankers, billionaires and the privileged class. In Ireland, we have the situation where wealthy bankers and privileged politicians make decisions that effectively safeguard the upper strata of society against the pressures felt by the working class. Those decisions are driven by a capitalistic philosophy that prioritises jobs over any other strategy and while that may appear to be empowering, the strategy means Ireland, like the States, needs ever-increasing capitalistic growth to pay for ever-increasing obligations for public service and to offset sovereign debt. It might be too great a disruption for a country to accept the fact that the Post-Capitalism Age has arrived. So in the meantime, I'm impressed that Mark Zuckerberg is funnelling much of the proceeds of capitalism to disadvantaged.